The California startup is getting $30 million to license its technology to Acme Group, which plans to build 1 gigawatt worth of solar-thermal power plants using eSolar's equipment and designs. eSolar is licensing its technology to Acme Group, which plans to use it to build solar thermal power plants in India. In return, Acme Group is investing $30 million in eSolar, a Pasadena, Calif.-based startup that recently sold is unfinished solar power projects in the United States. Although the company still wants to pursue opportunities to build and operate power plants in the country, it's focusing on selling equipment for building power projects. The deal follows eSolar's announcement last week to sell to Princeton, N.J.-based NRG Energy the rights to build 500 megawatts worth of solar-thermal power plants in the United States. NRG agreed to pay $10 million for the rights and a stake in eSolar (see With NRG Deal, eSolar Shifts from Power Provider to Equipment Maker). 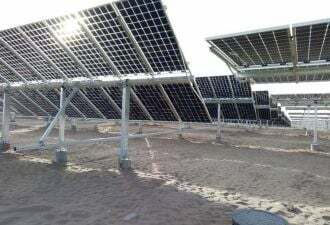 An increasing number of startup solar companies that once harbored the ambition to make solar energy equipment as well as build and operate power plants are now focusing on the equipment business only. Ausra in Mountain View, Calif., and OptiSolar in Hayward, Calif., are two other companies that have made the usually involuntary switch. The credit crunch has made it difficult for these companies to raise the money to complete the power plant projects and to build and run the factories. Although the equipment business can be lucrative, companies have to constantly compete over price and the next sale. Companies that own solar power plants by contrast garner revenue through multi-year contracts with utilities which are often mandated by law to buy that power, regardless of the price. This trend has opened up opportunities for larger, better-financed companies to scoop up major assets from solar startups at good prices. Just yesterday, Tempe, Ariz.-based First Solar trumpeted its winning bid to scoop up gigawatts worth of solar power projects that were being developed by OptiSolar. The portfolio included a 550-megawatt solar farm in California's San Luis Obispo County that recently won the approval of the California Public Utilities Commission (see First Solar Buys OptiSolar's Power Projects). It also includes the rights to develop up to 19 gigawatts of solar fields on open lands in the Southwest. eSolar's deal with Acme makes Acme the company's exclusive licensee in India. Any other companies that want to build solar-thermal power plants using eSolar's equipment and power plant designs will have to work with Acme, the company said. Acme plans to start building a 100-megawatt project later this year, eventually reaching 1 gigawatt over the next 10 years. Correction: We updated the story to reflect what eSolar CEO Bill Gross told us: The company isn't only going to be an equipment provider for the U.S. market -- the company remains interested in being a power project developer.